It's Tuesday Shoesday! See who else is celebrating with Shoeperwoman. 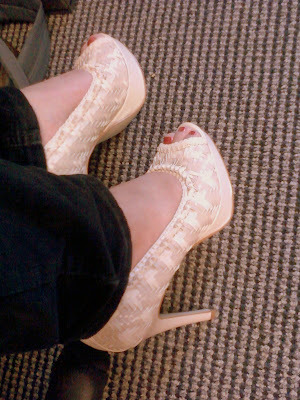 I'm wearing my Kelsi Dagger Eliana peep-toe pumps. They have a woven look to them. I snapped this photo with my phone, so it's a bit grainy.